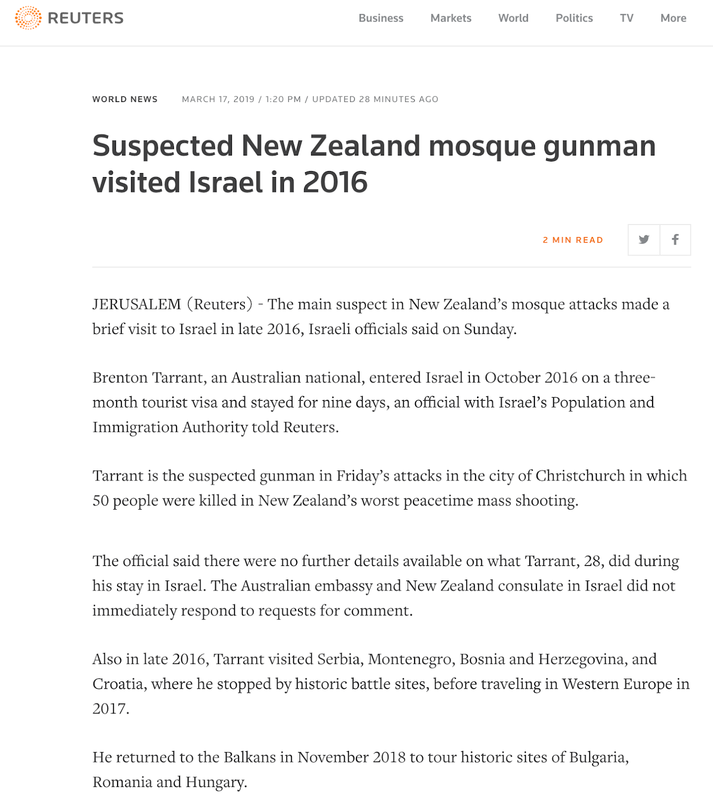 Meanwhile, Israel has been using the NZ shooting to bomb the hell out of Gaza. Why am I not surprised again? Allegedly? Either they were fired or not. And if they were fired, you can bet a dozen bagels it was some Shin Bet types doing the dirty work to give Israel the excuse it wants to carpet-bomb Gaza. Israeli CRIME MINISTER is using this to rally Israeli's to his cause, to vote in the corrupt SOB one more time. 1. Who paid for his travel to Israel--and elsewhere? 2. 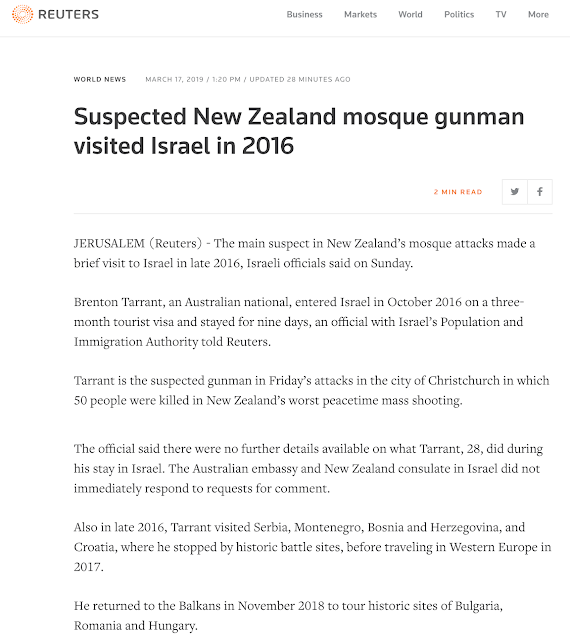 Was Tarrant's visit to Israel his 'Birthright Trip,' where Jews visit the Mothership to see in person how efficient Israeli's are with apartheid and hatred for non-Jews?